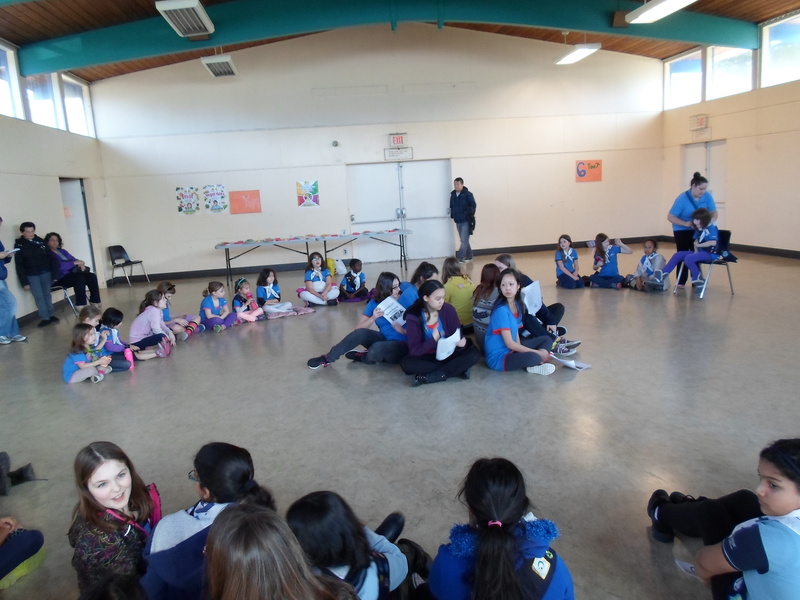 Burnaby Mountain Girl Guides hopes all of our sisters around the globe had a wonderful World Thinking Day. Last night, our 56th Guides were lucky enough to have their regular unit meeting fall on Thinking Day. How did the girls choose to celebrate the joint birthdays of Lord and Lady Baden-Powell? With a fabulous Dairy Queen ice cream cake, of course! Happy birthday! For some of our units, the party continues as they will be joining the provincial celebrations at BC Guide House this weekend. We hope they have a wonderful time. February 27th Burnaby Mountain District came together to celebrate World Thinking Day. 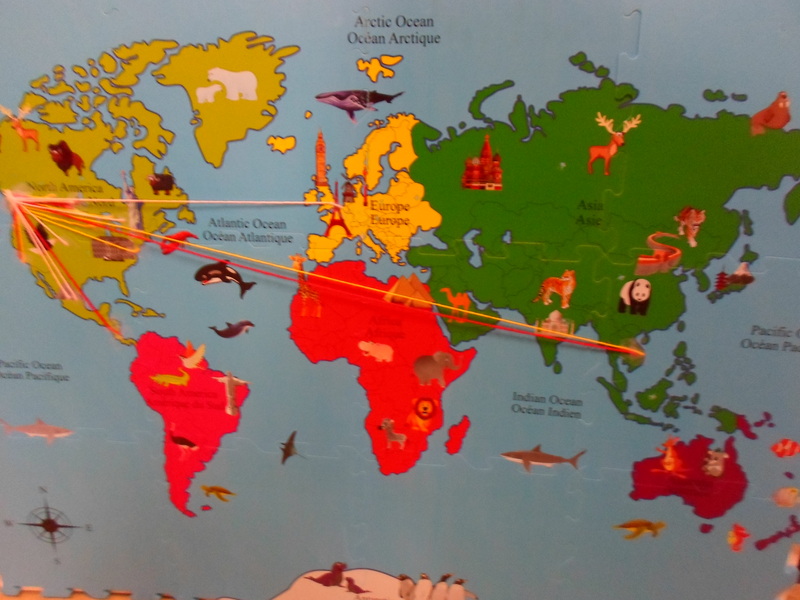 Following the lead from the World Association of Girl Guides and Girl Scouts (WAGGGS) we took a “Connect” theme and decided to connect as a district while also connecting with the community. The focus of the event was a food bank drive for the Greater Vancouver Food Bank done in the style of a can art construction competition. Each unit had been working for the past few months on collecting non-perishable foods, mostly in cans, in preparation for the event. Girls took time to consider their donations and to plan a sculpture that took into consideration a Guiding theme (so we could also connect with worldwide Guiding!). At Saturday’s event, the girls worked together, showing great cooperation, to assemble their sculptures. Sparks, Brownies, and Guides had a great time building with the canned goods. Older girls got involved in other ways. One Ranger took the lead coordinating the donation drop off with the food bank and lead a team of dedicated Pathfinders and Rangers in tasks like assembling and filling the boxes, and arranging to have the goods dropped off at the local fire department, which would hold the donations until the Food Bank could arrange pickup on Monday morning. 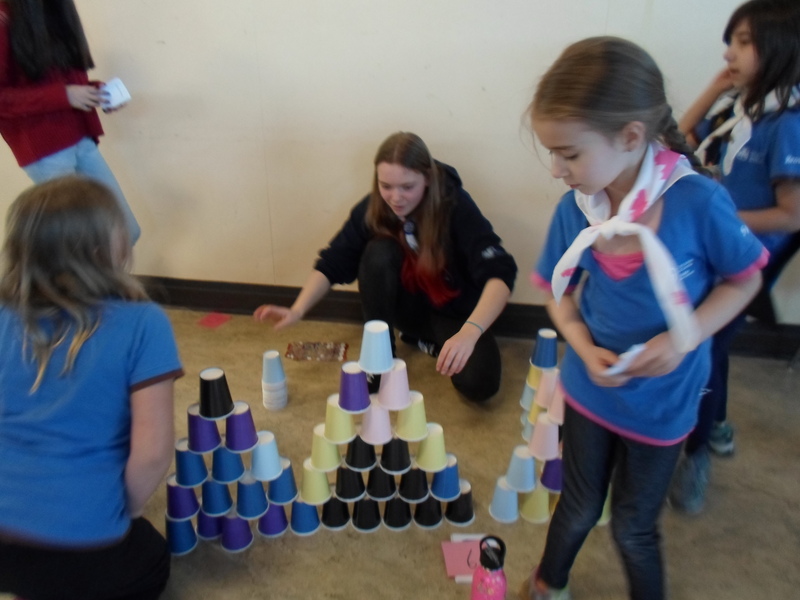 Pathfinders and Rangers also helped to run the bake sale, which was a fundraiser for the upcoming district camp, and also the WAGGGS inspired “Connect” picture frame activity, which helped some units complete their WAGGGS Thinking Day 2016 Challenge. Congratulations to the 49th Guides who won the sculpture competition with their trefoil-inspired piece. The unit won some funds for unit activities and each girl got a small prize. The real winner, of course, was the Greater Vancouver Food Bank which got a donation of more than 800 cans and other items (including a good number of Girl Guide Cookies!). Thank you to everyone who donated, and who helped to pack and move the boxes. We also want to thank the City of Burnaby, which donated cool prize packs for every participant including a pin, pencil, and chocolate treat. Today is World Thinking Day. February 22nd is celebrated as the joint birthdays of Lord and Lady Baden-Powell and has become a day for our 10 million members to think about each other and our history and all the amazing things that we do for girls worldwide. This year, the World Association of Girl Guides and Girl Scouts (WAGGGS) decided we should celebrate Thinking Day with a theme of “Connect” — connect with ourselves, connect with our friends, connect with WAGGGS, and connect with the world. Many of our units are working on the World Thinking Day Challenge this week and will be earning a special crest. To encourage us to connect with our communities, the WAGGGS challenge and West Coast Area have both challenged us to proudly wear our Guiding uniforms out in the community, to school, or to work. Burnaby Mountain District will be hosting a special World Thinking Day celebration this coming Saturday which will include a massive food bank service project. Units will be engaging in friendly competition, building can art sculptures on a Guiding theme and then donating their collected goods to the local food bank. Stay tuned to find out how that event goes — we’re pretty excited about it. Some girls, such as the 2nd Sparks above, have been hard at work practicing the can art sculptures. Happy World Thinking Day from Burnaby Mountain District! In February, Girl Guides around the world celebrate the joint birthdays of Lord and Lady Baden-Powell, the founders of our organization, in Thinking Day celebrations. This year, Burnaby Mountain District hosted its annual celebration on February 21 at Charles Rummel Hall. Approximately 75 girls came out with their families to celebrate Guiding. The event was planned and delivered by the 12th Rangers with help from the 14th Pathfinders. The girls did a wonderful job hosting the event, showing exemplary leadership skills. 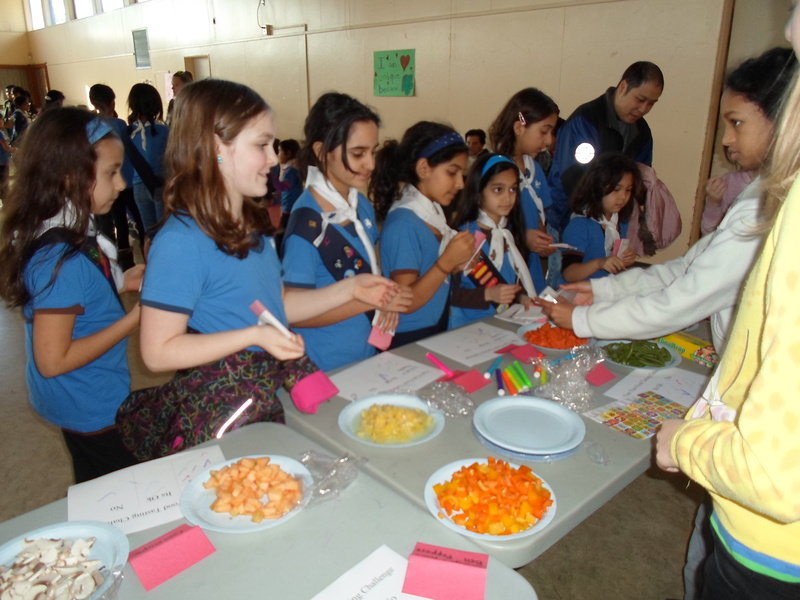 The theme of this year’s event was healthy living, and the Rangers planned stations for the girls to visit round-robin style that contributed towards the new provincial program Colour Me Healthy challenges. By the end of the day, all girls present were well on their way to earning the challenges which may be completed in their units. Fun stations included fruit & veggie trivia, yoga, foot tag, and a fruit and veg tasting station. The afternoon was rounded out with a lively campfire. In addition to the festivities, there was a bake sale that many families contributed to. So many tasty things! 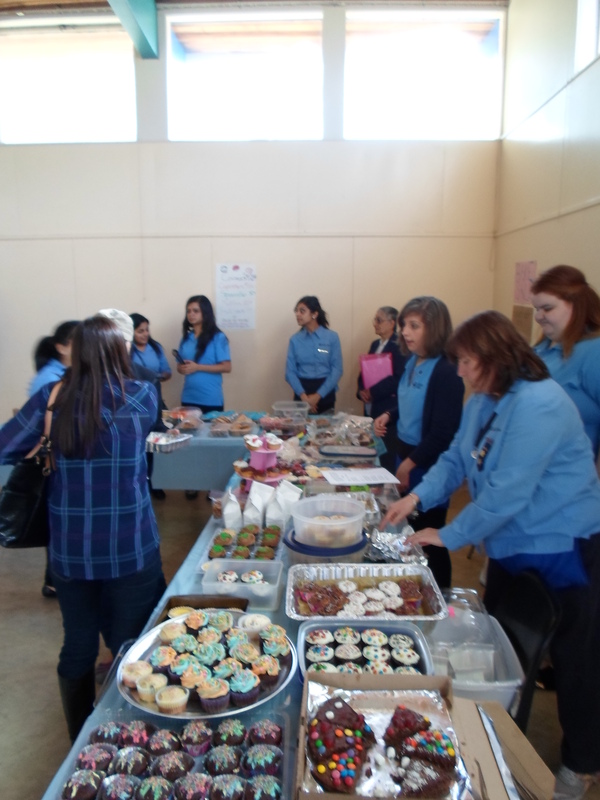 Proceeds from the bake sale are going towards the district’s year end event in June. Thanks for helping us raise the funds for that. A huge thank you goes out to the Rangers and Pathfinders who worked so hard planning and leading this event. The girls all had a great time and hopefully learned a thing or two about healthy choices. To our sisters around the world, Happy Thinking Day 2015! 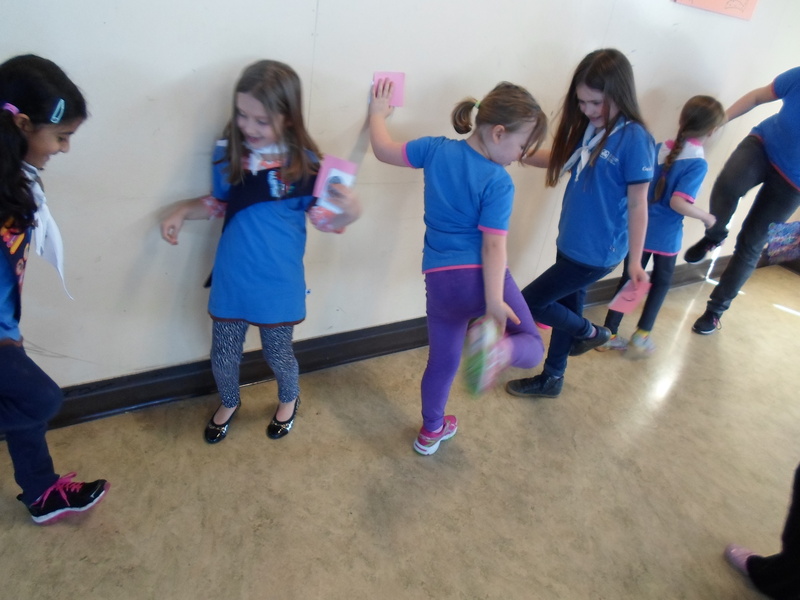 On February 22nd, Burnaby Mountain District gathered to celebrate Thinking Day, a special day celebrated by Girl Guides and Girl Scouts all around the world. 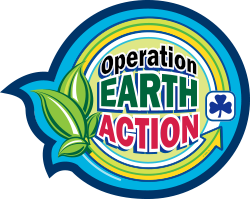 This year, our district decided to celebrate Thinking Day by completing the Girl Guides of Canada National Service Project Challenge, Operation Earth Action. Girls from nine different units presented challenges that they completed related to environmental sustainability. Projects included making lip balm from household ingredients, doing crafts with recycled supplies, and doing litter pick ups. One unit presented a map-your-meal project to learn about how far away some of our food travels to meet us and to learn about the benefits of eating local. 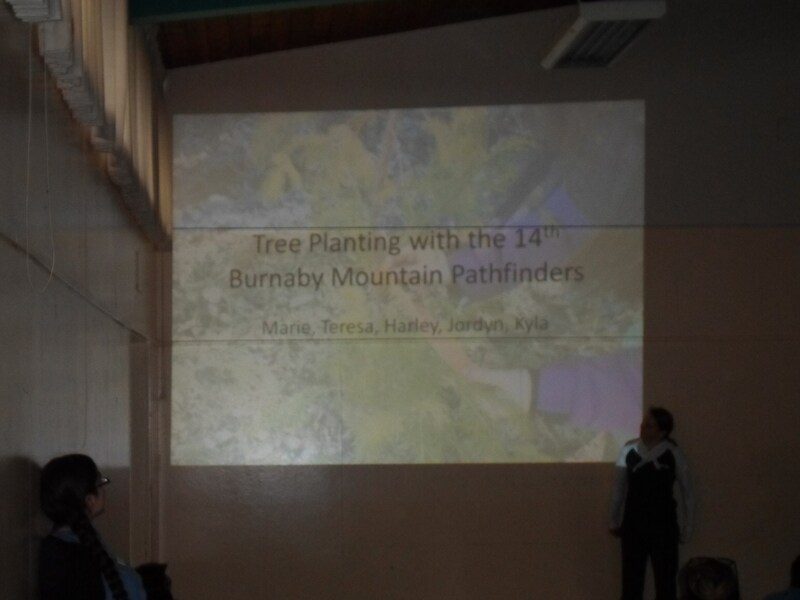 A Pathfinder group gave a presentation about tree planting in the community. In addition, every girl at the event got to decorate a tote bag made out of a recycled T-shirt. Everyone at the event also participated in an oath to use reusable bags and water bottles when possible. All girls who participated got a crest celebrating their participation in the National Service Project. 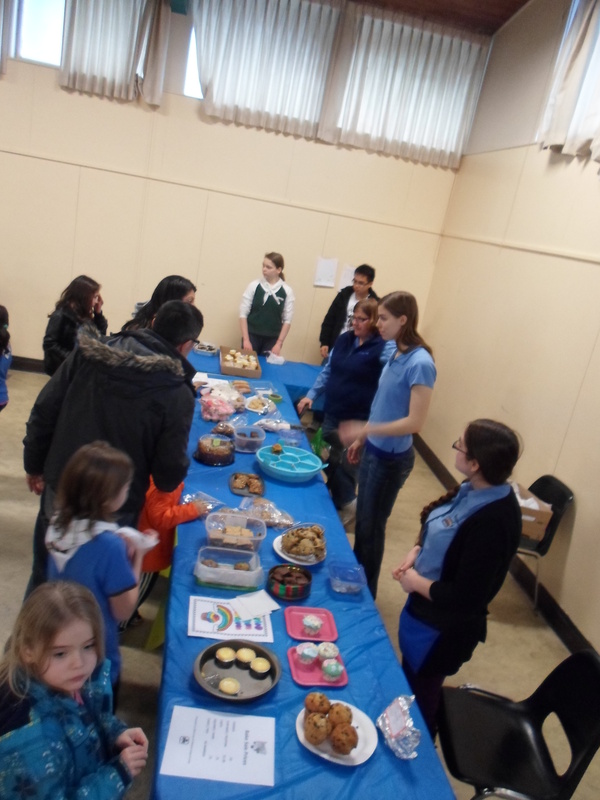 The event also included a bake sale which is a fundraiser for our District camp at the end of the year. Thank you to everyone who donated baked goods, and to everyone who bought treats — we earned almost $250 for camp. About 80 girls came out to the Thinking Day event, and many parents and siblings stayed to join in the festivities. It was one of our most successful Thinking Days yet!